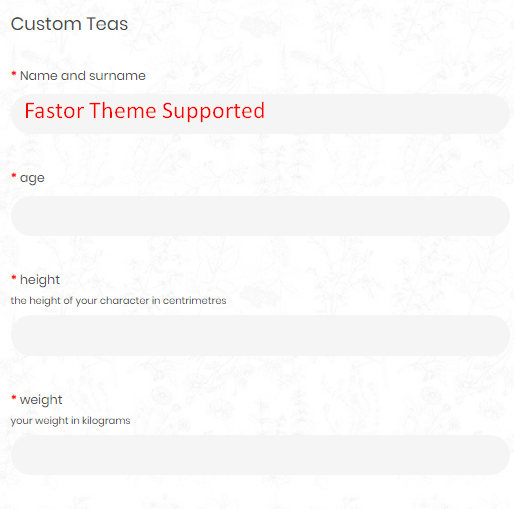 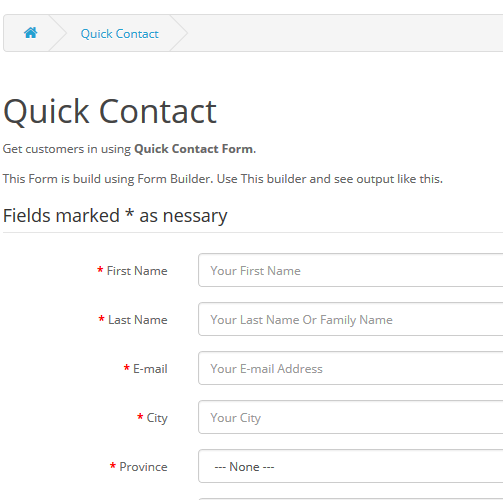 Quickly and easily, create any type of form you want. 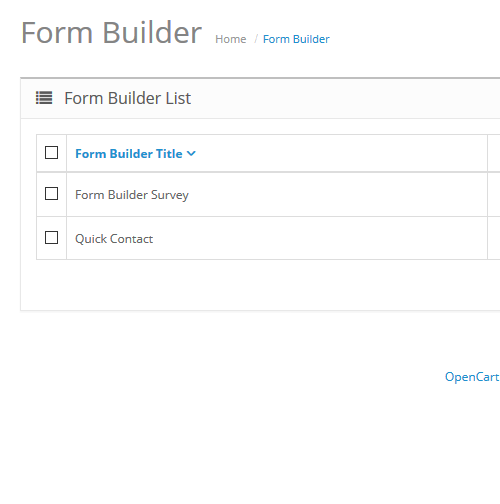 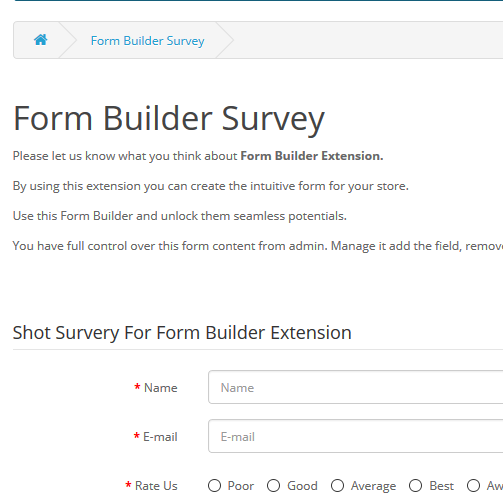 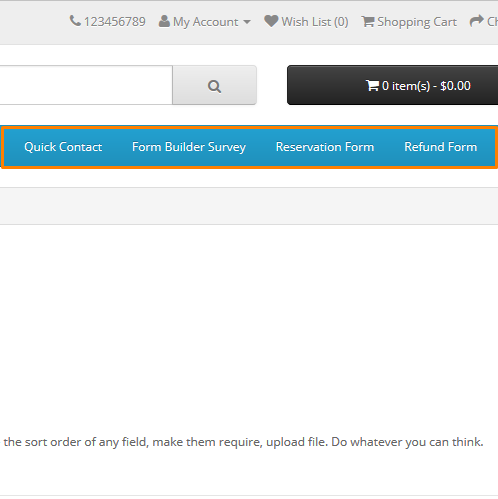 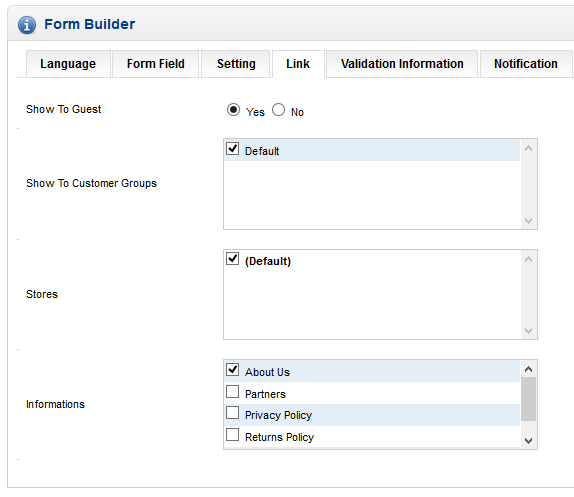 By using form builder create the form with any type of fields you want, make them require if necessary and set the custom error message for required fields. 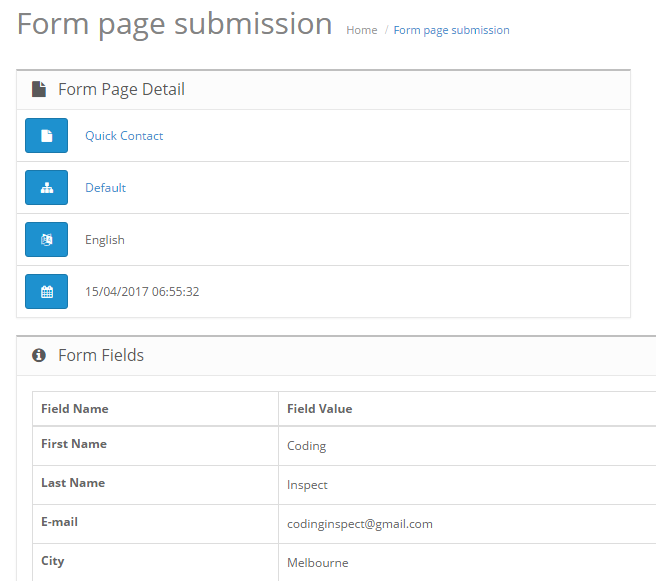 As soon as customer or guest submit that form, an e-mail goes to admin and save that form response to show as a report to admin. 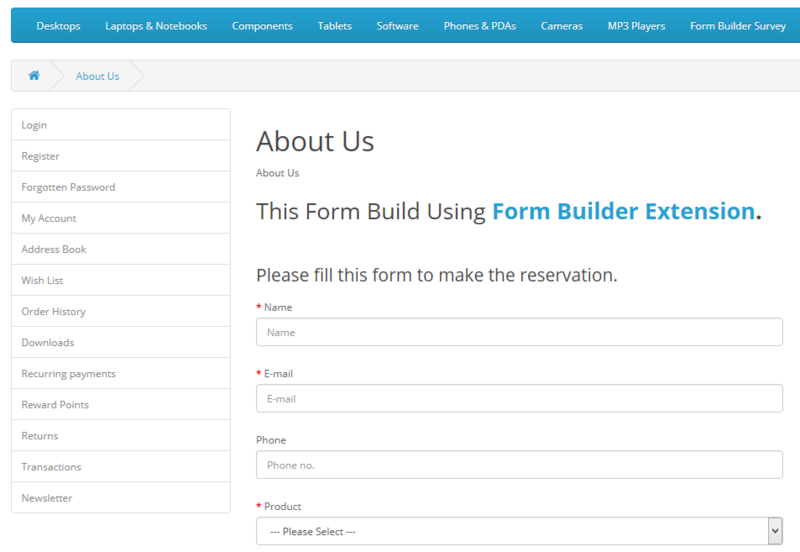 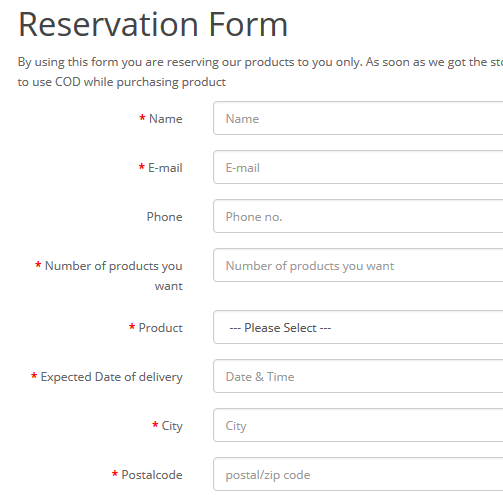 Create any type of form like survey, reservation, advertising, quick contact, support ticket, refund, register product etc. 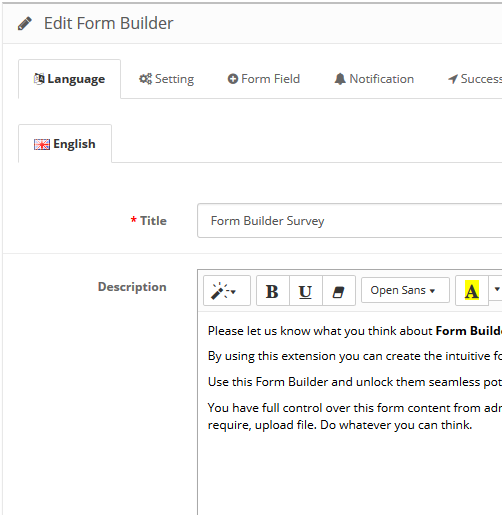 ✫ Upload and use – no core file modification requires. 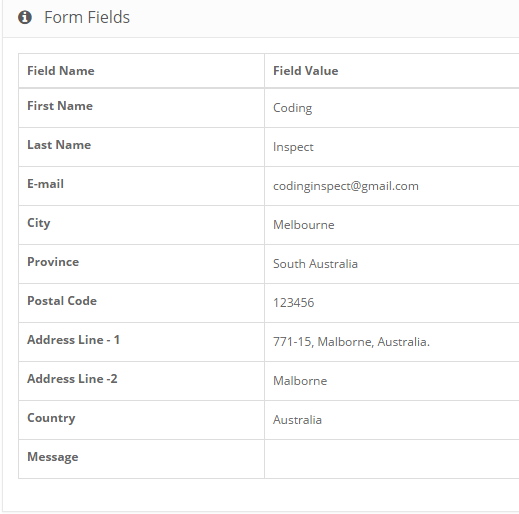 ✫ Manage fields position using drag and drop, choose field type from multiple options like select, radio, checkbox, date, time, date & time, email, password, file, etc. 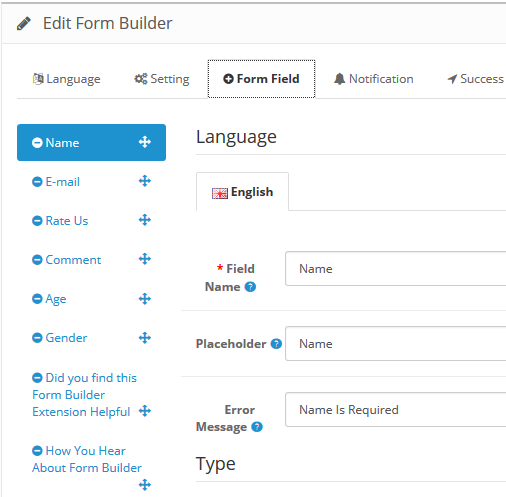 ✫ Create multi-lingual form fields. 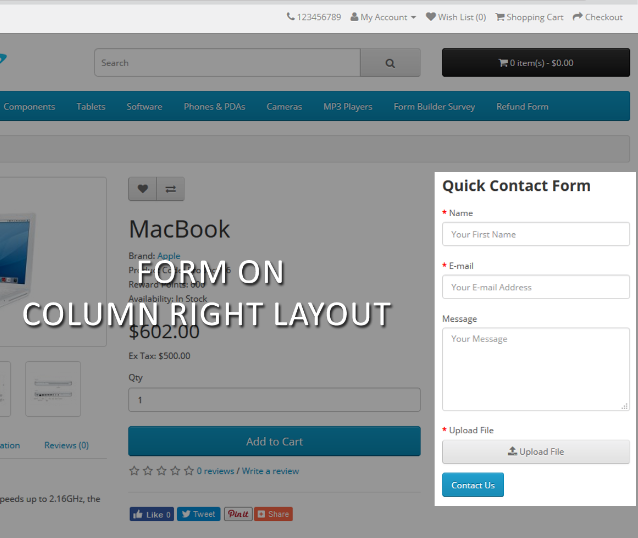 ✫ Create HTML e-mail template for admin and customer e-mail. 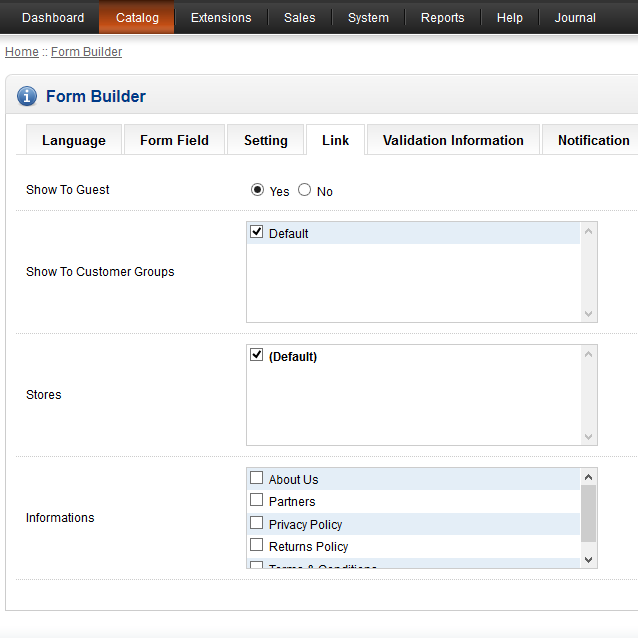 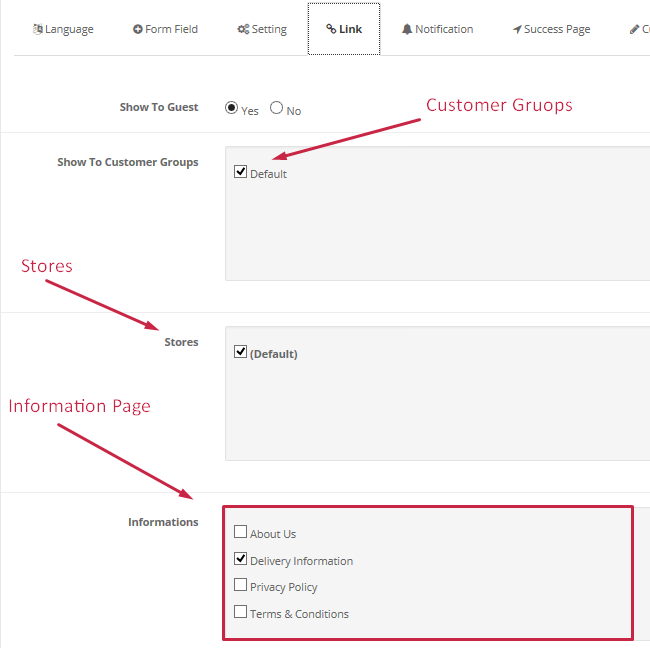 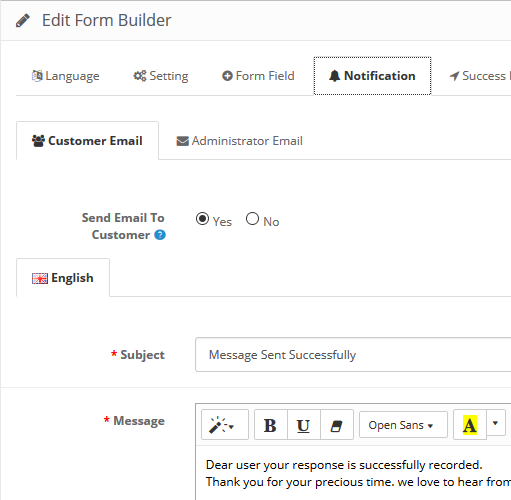 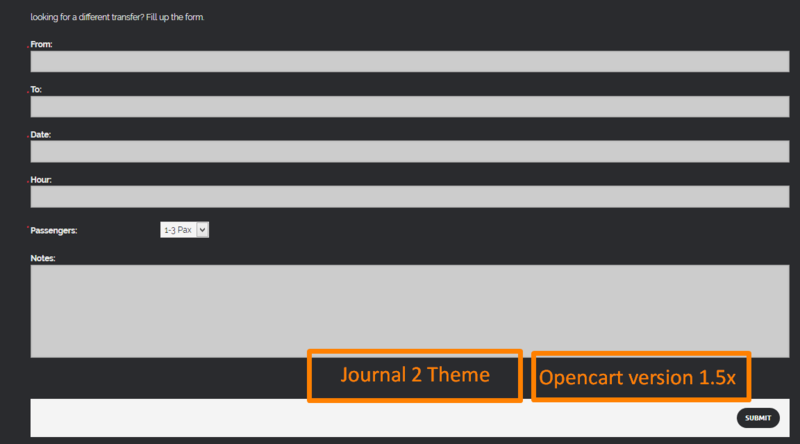 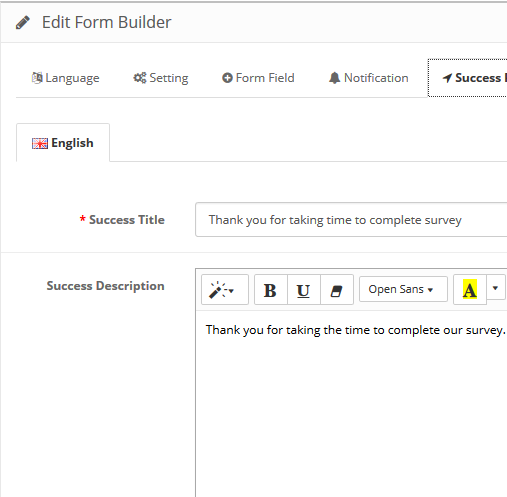 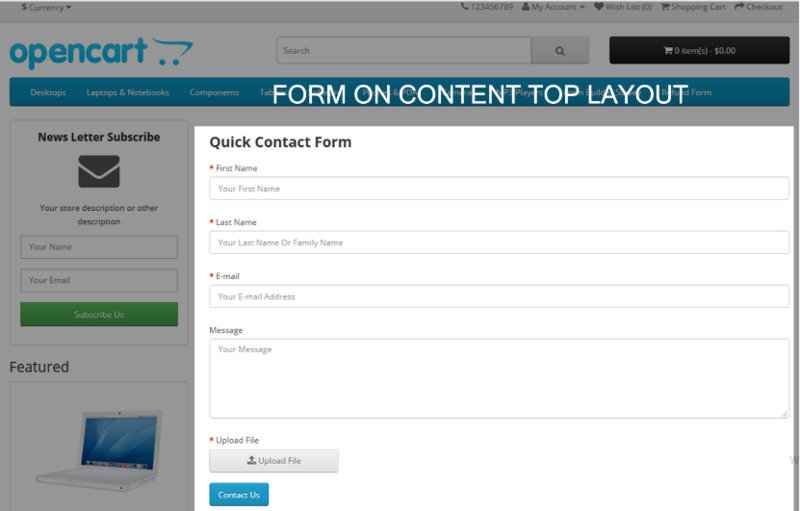 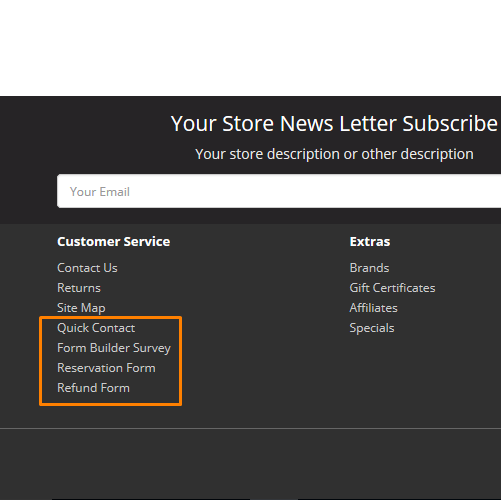 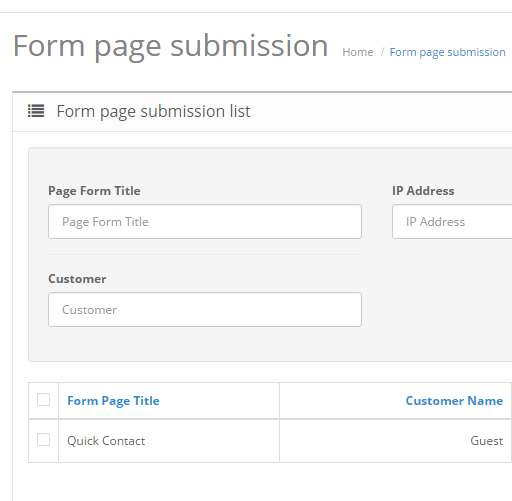 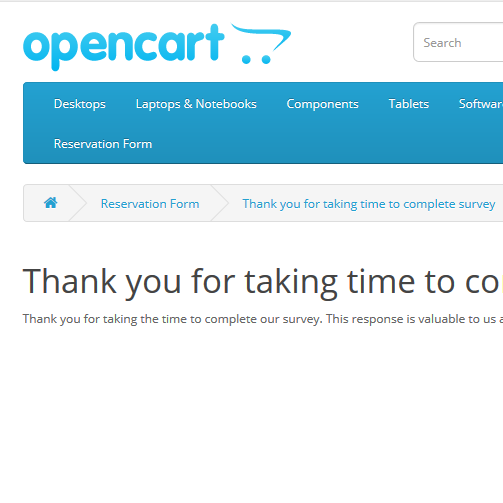 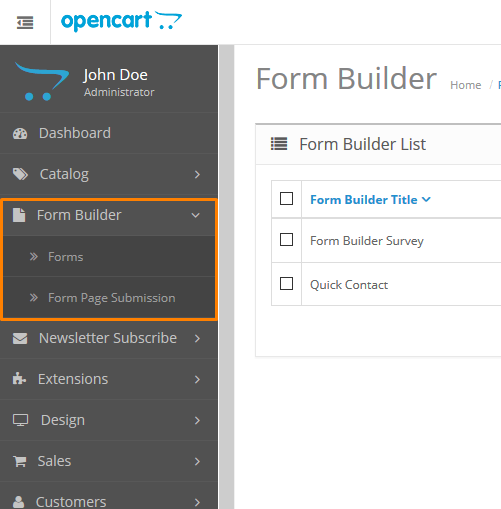 ✫ Customize success page content show after form submit. 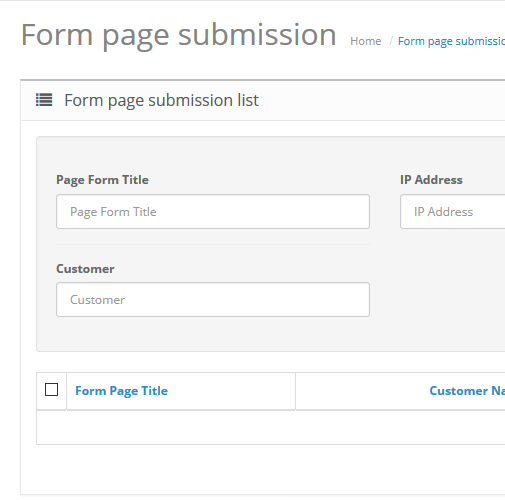 ✫ See list of all form submissions in admin. 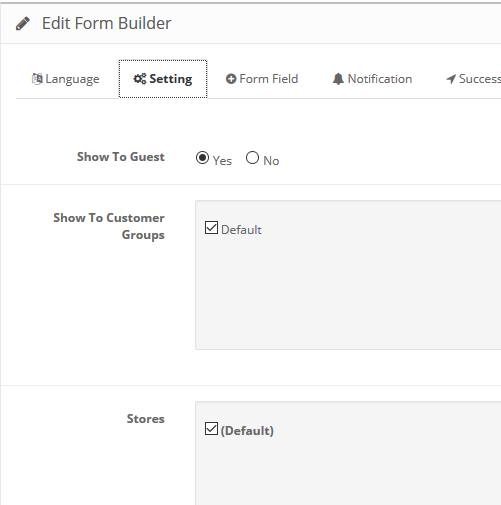 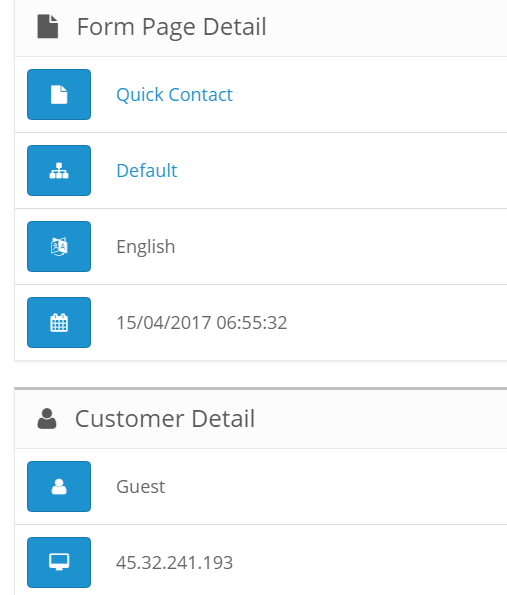 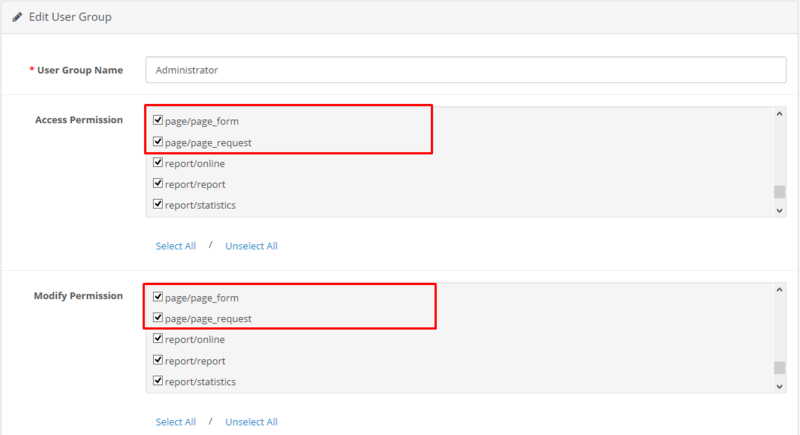 ✫ Manage form fields sort order by Drag & Drop. 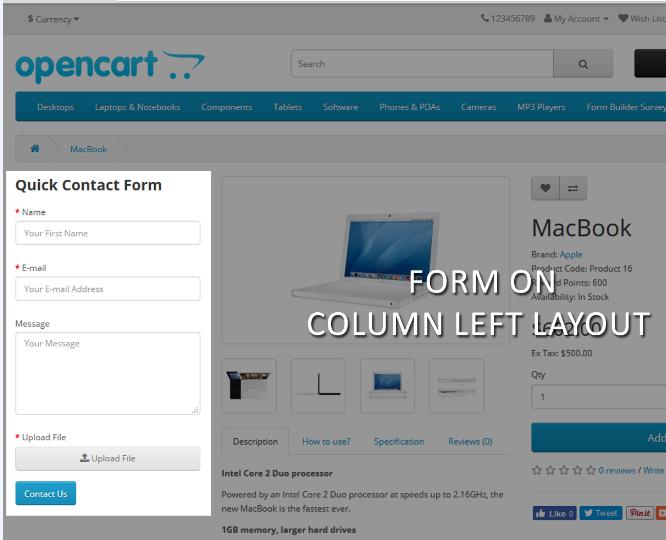 ✫ Set form validation error with message. 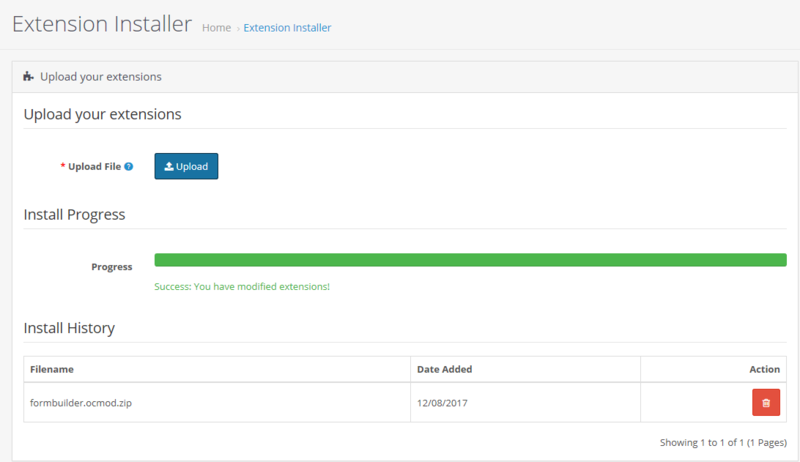 ✫ Contact for free installation and best support. 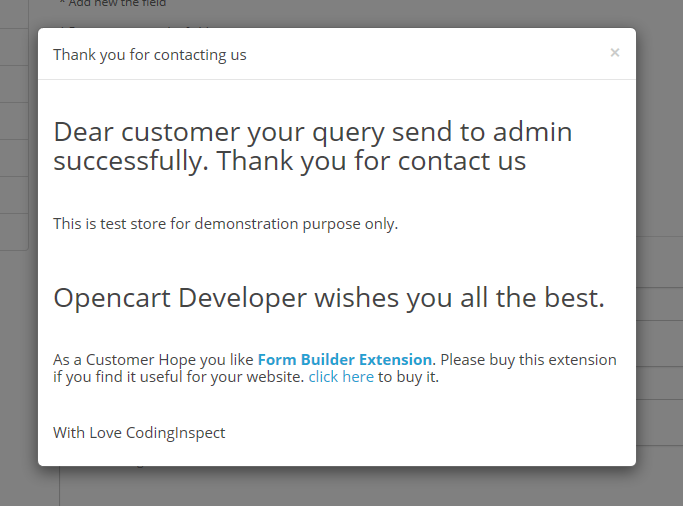 ✫ We support our clients and help them to install and understand how to use this extension.